The extremely economical beginner’s package with the major functional elements allowing to build Car System installations. To the traffic control unit can be connected the functional elements branch-off junction, stop point, electrical parking place, bus and petrol station stop, and distance control, all these elements being designed to regulate traffic flow. 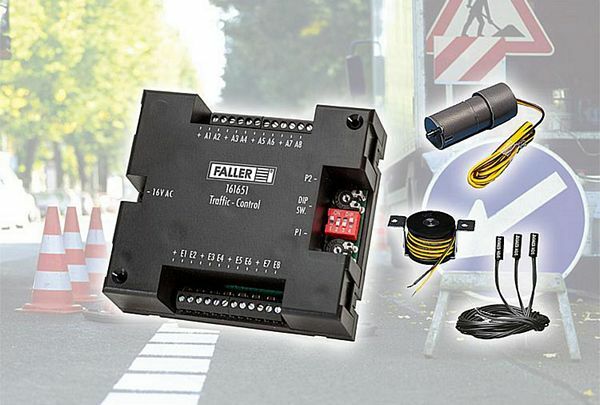 The control sensors allow to trigger various procedures of the functional elements. The electric branch-off junction is to be used to have vehicles turn off in the specified direction, the stop point being required to have the vehicles halt and drive again in diverse traffic situations.